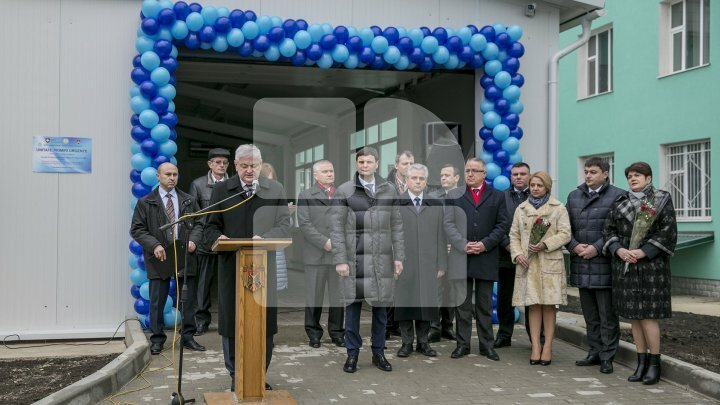 The Emergency Department of the Hospital from Căuşeni was renovated and received new equipment. "We received the latest cardioverter-defibrillator and electrocardiography" department chief, Svetlana Bobeica said. "The new equipment can measure both blood oxygen level and the pulse, making the job easier for us" physician assistant, Irina Dicusari said. The Department also received new beds, chairs and stretchers, as well as special speakers build from the scratch for the ambulance. "Everything can now be done on the spot and very fast. We were told to wait a bit and that they will discharge us." "I think that I caught the flu. Everything here is clean, well organized, with new equipment. I am glad that I came here." "It is better than before. The building is cleaner. There is place to sit waiting for your turn to see the doctor." Officials from the Government and Parliament have attended the department's inauguration. "The Emergency Department is crucial for treating patients. I wish to thank all those who contributed and offered new equipment to this ward" PDM deputy, Valentina Buliga said. "This is not the last change healthcare will see. 2018 is the year of reforms long awaited by people." Due to those investments, the Emergency Department is now receiving twice the number of people. "We see over 2300 patients per day now. Last year, the number was of 1 500. It means that 44% more people came to be examined and hospitalized. Others were treated and received prescriptions" secretary of state for healthcare, Boris Gîlcă said. The idea to renovate the institution belongs to president of Căușeni district. "I visited the regional hospital from Căușeni. That place has seen better days. Therefore, together with the hospital's director, we decided to renovate the Emergency Department" president of Căușeni district, Nicolae Gorban. For renovating the Emergency Department were spend 3 million lei. The expenses were covered by the Regional Council and Swiss Agency for Development and Cooperation.